First-Time Air Travel Guide – Hello friends, here is Aviation Dreamer. And today I will be writing on a different topic about the Air Traveler. This will help the First time traveler to travel hassle-free. 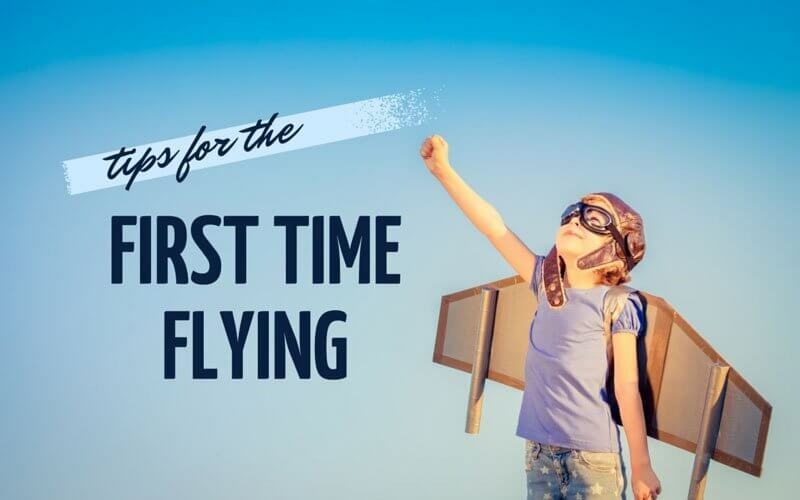 So today’s topic is First-Time Air Travel Guide For New Passenger- Step-by-Step. If you are a First-Time Air Traveler it will help you. So, my request you to read this till the end. Do not leave packaging until the last minute. If you make a list of things you need at least one or two days before your flight and then collect everything in your suitcase or backpack, then you will be more relaxed, and the more likely you will be, the more likely you will be. Label each piece of luggage with your name and an email or phone number that you can contact while on the road if you are separated. If you can pack light then life is almost always easy; Not only will you avoid pulling lots of things, you may be able to travel with only one carry-on and avoid paying the full bag of check bags. Each airline’s size rules are slightly different to carry, so always check with the airline before starting packing. The size range from 10 inches to 24 inches, including wheels and handles, is quite common. You will also need to ensure that you are not packing anything into your carry-on, which is prohibited by TSA; Pay special attention to the rules of fluid. Most airlines allow you to take a small personal item that fits in front of your seat – think of a purse, laptop case or short briefcase. If you check a suitcase, then the maximum size of 62 linear inches (length + width + depth) and weight limit of 50 pounds is common in the industry, with some airlines giving passengers a weight of 70 pounds, premium tickets if you If you lock your bag, make sure you use a TSA-approved lock. Most airlines and TSA recommends reaching the airport at least two hours prior to scheduled departure of the domestic flight; If you are flying internationally then go there three hours earlier. This gives you time to check-in and collect in your boarding pass, check any luggage, go through the security screening checkpoint and go to the entrance door when your flight starts boarding half an hour before your scheduled departure time. . Airlines will place their hard caps 30 to 60 minutes before they depart on the basis of their travel programs accepting check-in. They usually stop accepting check bags 45 or 60 minutes before departure. When you check in for your flight, you have to show your ID, and then show your ID and boarding pass at TSA Security Checkpoint. Once you are before the initial screener, you will put all your belongings in the luggage box, your outer clothes and anything in your pocket, in a box placed through your X-ray machine. While your luggage is being checked, you will walk through the screening machine yourself – its exact nature varies depending on the airport – then collect your luggage on the other side. If the screening machine recognizes anything unusual, then you and your luggage can be subjected to additional screening measures. Once you are before the security checkpoint, you will be at the airport’s departure terminal. Check your boarding pass – it will tell you which door will leave your plane. Each airport also has large screens which display a list of flight departure times and doors. If anything changes about your flight time or gate number, those screens and alerts from your mobile app for mobile are the best sources of updated information. Most airlines split passengers into boarding groups; When the time for landing on the aircraft, the gate attendant will call your boarding group or line number. If you need extra help to reduce jetty – for example, if you are in a wheelchair or travel with small children – they will allow you to board quickly. When you are on the plane, get out of the corridor as soon as possible so others can continue the board. Place your luggage in the overhead bin or in front of the seat in front of you; If you can, whatever you want during the flight should go under the seat. Before landing the plane, throw your seatbelt in your lap. If you are wearing a heavy jacket or wrapped in a blanket, throw the seatbelt outside those layers – otherwise, the flight attendant will have to wake up to check you. The flight crew will prevent you from taking care of small electronics through your first flight adventure (they should be in airplane mode, and laptops should be taken during takeoff and landing) when it is ok to use the restroom (your time) Try to avoid food service trains, which completely block the aisle).